Best Rates on Earthquake Insurance for the Sacramento, Chico, Redding, San Francisco, Oakland, San Jose, Long Beach, Fresno, Los Angeles, Santa Ana, Anaheim, and San Diego, California regions. Providing our Clients with low cost, affordable cheap insurance. Buying Earthquake Insurance makes Financial Sense If you live in California. 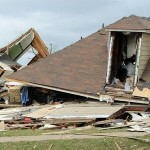 If you live in California and can’t afford to rebuild your home then buying earthquake insurance makes financial sense. Moderate-sized, potentially damaging earthquakes could occur anywhere in California at any time. Earthquakes may be preceded by an increase in seismic activity. If you live in a quake-prone region, protect your home investment by buying earthquake insurance and retrofitting your home. Homeowners Insurance policies have a fixed dollar amount deductible, (e.g. $500). Earthquake policies are different. Their deductible is a percentage figure. Earthquake policies will not pay a claim until the deductible is met; so on a home with $500,000 of coverage and a 15% deductible, the homeowner will be covering the first $75,000 of damage. The damage to your structure must exceed your deductible to trigger a payment, and the payment will only be the amount of repair costs above your deductible. If you live in a quake-prone region of California, protect your investment in your home by retrofitting and buying earthquake insurance. Buy Earthquake insurance with limits that are adequate to fully replace your property, engineering costs, and comply with new building code requirements, temporary living expenses, etc. Going without Earthquake insurance means you have a 100% deductible…you’ll bear the entire risk yourself. Don’t assume that FEMA, the Small Business Administration (SBA) and/or private charities will bail you out with funds to rebuild after a major disaster. FEMA has very limited funds and strict eligibility criteria. SBA loans are modest and must be repaid. Private charities are being severely stretched by an ever-increasing demand for their services. Insurance Center for Sacramento and the Northern California region including Folsom, Elk Grove, Rancho Cordova, Carmichael, Antelope, North Highlands, Folsom Ranch, Gold River, Fair Oaks, Woodland, Natomas, Sacramento, Anatolia, Kavala Ranch, Rocklin, Roseville, Lincoln, Loomis, Granite Bay, Galt, Natomas, Davis, West Sacramento, Citrus Heights, Orangevale, Los Angeles, San Diego, San Francisco, Long Beach, Fresno, Oakland, Santa Ana, Anaheim, El Dorado Hills, Stockton, Modesto, Lodi, Merced, Tracy, Antioch, Dixon, Woodland, Fairfield, Vacaville, Vallejo, Marysville, Yuba City, Linda, Plumas Lake, Chico, Bakersfield, San Jose, Campbell, Placer County, Sacramento County, El Dorado County, Yolo County, San Joaquin County, Sutter County, Northern California, Central California, and Placer County, and other cities and counties within California.